Puppies are lots of fun, they play hard but sometimes their sharp little teeth can hurt. But how can you tell if your puppy is behaving overly aggressive? 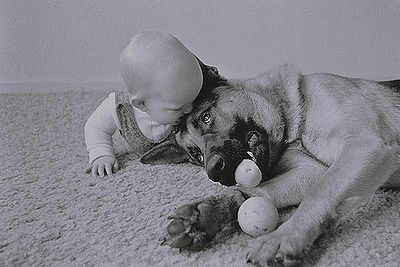 There are dogs, fortunately very, very few, who appear to be born too aggressive. While unusual, there are signs to watch for. When interacting with your puppy, does his/her body stiffen? Does s/he continuously growl deeply? Does your pup stare at you a lot when growling? Don’t panic, there are ways to help your puppy overcome this aggression. It’s important to discover the reason why your puppy is so aggressive. Just as in all dogs, pain can be a factor. Your puppy should have a thorough examination at the vet to rule out a medical condition that could be causing this behavior. Fear is another reason dogs become aggressive. Aggressiveness can be a response to fear as the pup sees it as a form of protection. Some dogs may be overly territorial which can include ownership of objects such as toys or food. Once you are sure that there is no medical reason for the aggression, you can try some of these suggestions. Exercise is a great way to overcome excessive energy. Make sure your puppy is getting enough exercise appropriate for his/her age and size. Join a puppy obedience class. 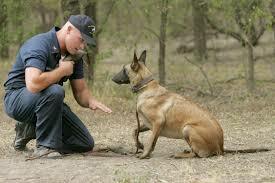 Training your pup to follow commands gives him/her a job to concentrate on and teaches discipline. When you think your puppy is being too aggressive, try a time out, ignoring him/her. Yelling something like “Ouch!” usually startles the pup into stopping the behavior. Use a head halter with a leash to have more control. Never use physical punishment – it will only encourage more aggression and it doesn’t work. If, in spite of all your efforts, your puppy continues toe overly aggressive behavior, it’s time to consult with an animal behaviorist. 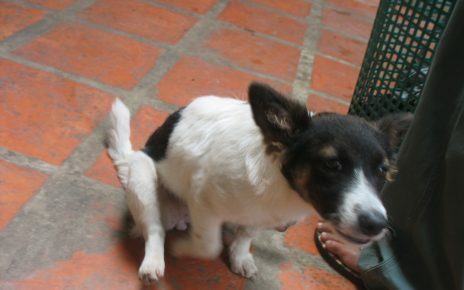 On a personal note: Years ago, my Dad brought home a beautiful little male puppy. At the time we had 2 other dogs, several cats and a bird. The pup dominated and frightened all of us with his overly aggressive behavior including attacking one of the other dogs. Having no experience with this problem at that time (animal behaviorists were unknown), we decided the best course of action was to re-home the pup with someone who had more experience. A friend of my Dad’s agreed to take the pup and train him. It’s possible that our pets played a role in the pup’s aggressiveness and he wanted to be the one and only. But I’m happy to say that the pup grew to be a well-behaved and happy adult in the home that was right for him.